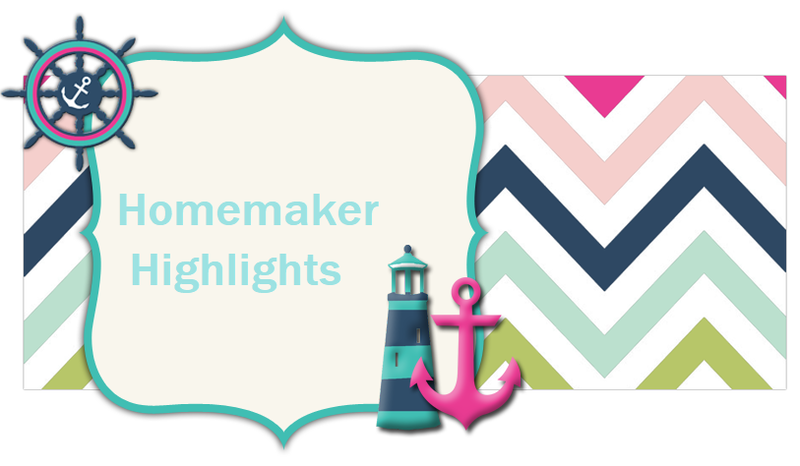 Homemaker Highlights: He got the job! So big changes here. DH got the position he has been praying for. Over a year ago he went to weekends. He was promised that he could work an extra day during the week. But, later that did not come to pass. So we managed with him taking a pay cut of eight hours a week. We rejoiced that he could be home five days a week. Recently a MRI position came open and he has really been wanting to do MRIs for a while now...since he does cat scans and already registered in it. So that meant he will have to go back to days five days a week....he gets extra hours and he does have to study to pass his MRI reg. now. So he went for the position and a week later he got it. We had been praying on it and he felt the Lord was leading him in that direction. Today was his first day and he said it was over whelming..but, exciting. It's also great that he didn't have to change hospitals...he's been there for ten years. He did his colonscopy yesterday. Everything turned out normal. The only thing left now to figure out where his stomach pain is coming from is exploratory surgery and he just doesn't know how he feels about that. He goes back in Sept. to the gastro Dr. So that is a PRAISE to the LORD! My dad is back in the hospital again. He is just not doing so well on dialysis and is weak. We were told that his lungs and heart would start to deteriorate first since he has all CHF, emphysema, and complete renal failure. I am thankful that he has recently took the Lord as his savior. He could really use some prayer on his pain. He is also having panic attacks on the dialysis machine. He has seen three people code on them and it has terrified him. We are hoping he is out by Sunday for DD's birthday. So this Sunday will be DD's 3rd birthday party. I can not believe that she is 3!!!!! She is having an elmo party since that is what we found at the dollar tree. She loves anything to do with the alphabet...so we got her elmo plates and cups with the alphabet on them. Red table cloth. I even found the goodie bags with toys there too! This is an exciting birthday as it's the first with other children coming and this is the first birthday that DH's parents have ever attended. We plan on having cake(she picked strawberry), ice cream, chips, dip, and punch. My parents went in halves with us for a inside trampoline with enclosure..which came out to about 30.00 on our end. The one we looked at was good condition trampoline wise...but, it was those king size ones and the enclosure would have cost an arm and a leg. So the smaller one from kmart just seemed smarter. It's in her room and she can jump on it anytime. Dh is going to start on the swing set later this week that his parents got her...they got a great deal with it on sale. I'm telling you they are spoiling this child. Well, I am tired and so sleepy. DH has to work a double tonight. I just want to go to sleep...but, I know if I do I will never sleep tonight when he comes in.